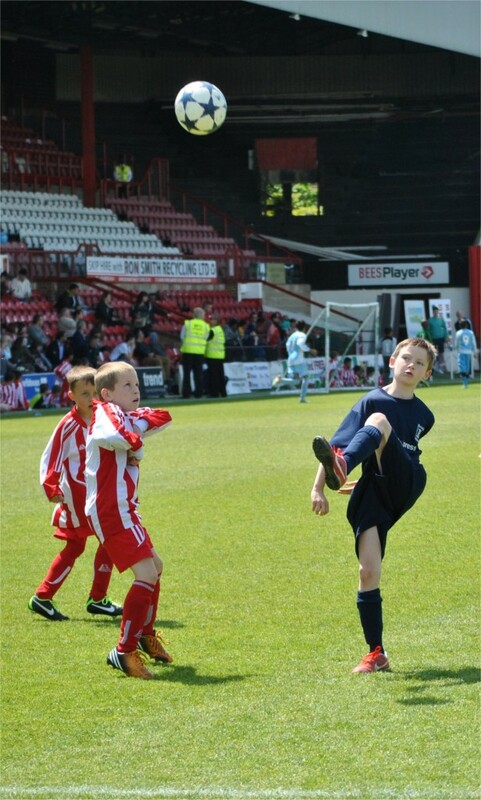 The sun shone brightly on 18th May 2014 for the second Skyex Community Day at Brentford FC, Griffin Park, in support of the Bright Sky Charity. A gloriously sunny day, excellent pitch conditions and 2,500 people from in and around the local community guaranteed a fantastic day. The Youth Team Tournament kicked off first between; Celtic FC, Ruislip Rangers, Sandgate, Pitshanger, CB Hounslow, Junior Bees and Feltham. 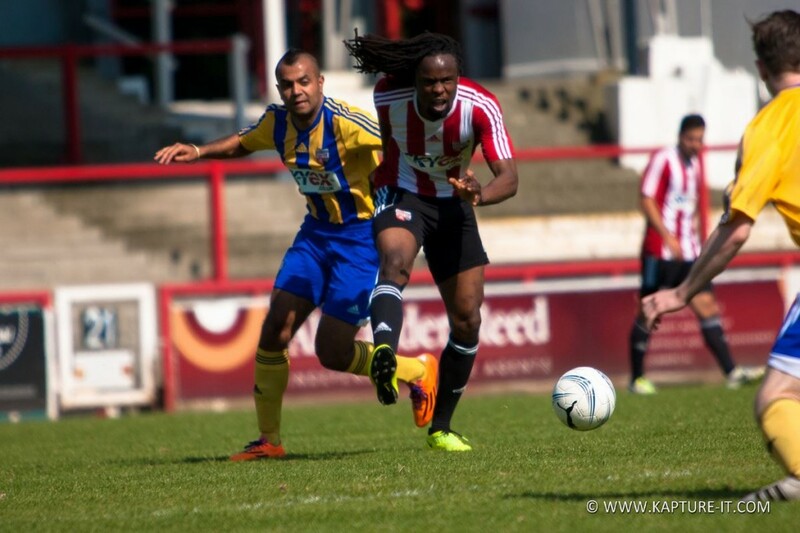 Following entertainment from Ealing Street Dance Academy, Roots Theatre Arts School and Dance with Jay Kumar, the Brentford Legends gave a solid game securing 2 goals in the first half. 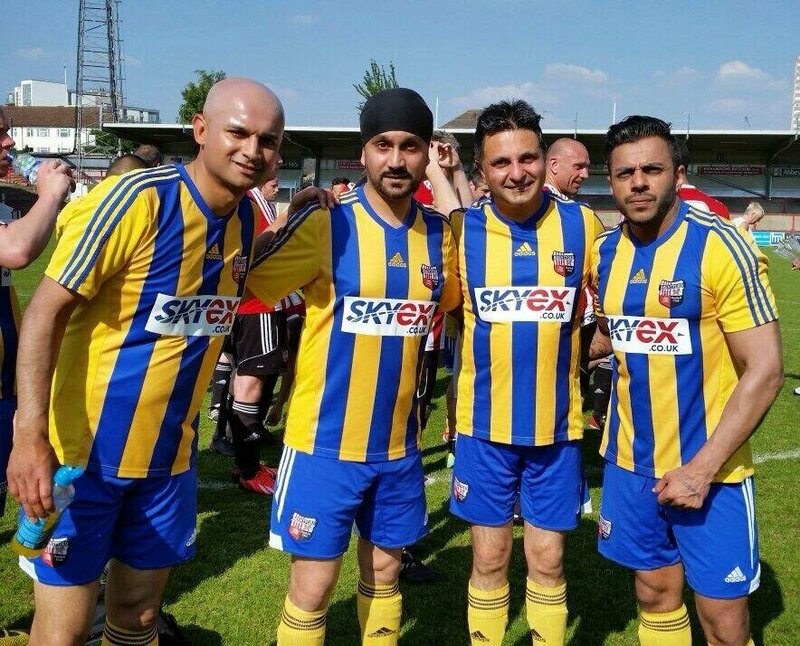 Skyex All Stars also played a great game scoring 2 goals, one of which was scored by none other than Punjabi Rockstar, Juggy D, but it was the Brentford Legends who won 3-2. 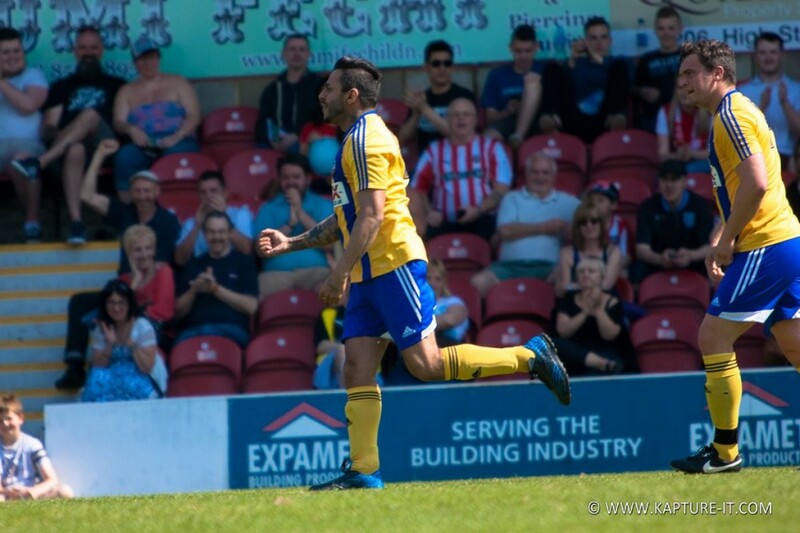 £1153.00 was raised on the day and our main sponsors have so far contributed over £14,000.00. 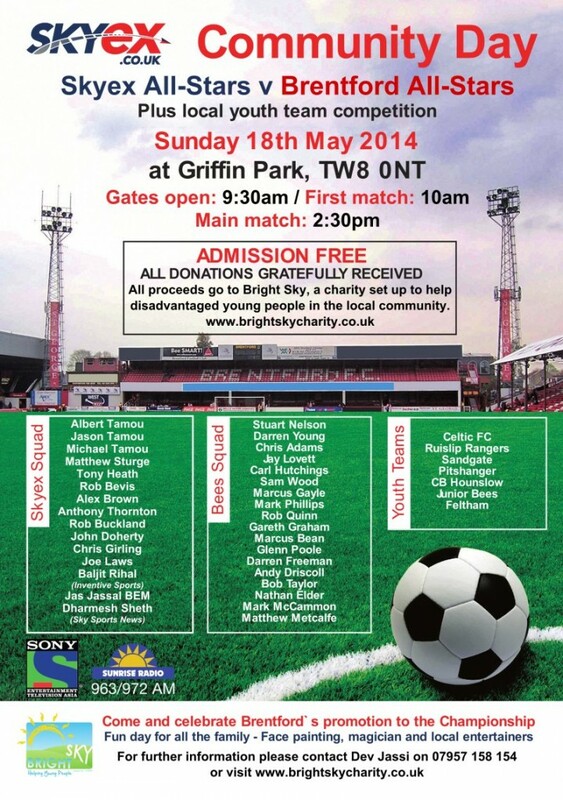 All money raised goes towards the Bright Sky Charity, which helps local young people. Many thanks to the Brentford Legends and Skyex All Stars and all the Youth Teams! Also a huge thank you to our sponsors, volunteers and visitors as without you this great day would not be have been possible.